On this day in 1979, Tommy Hearns, the Hitman from Detroit, scored a 10-round decision over the always tough Alfonso Hayman of South Philly. The win lifted Hearns to a sparkling 18-0 record. But the story of this fight was that Hearns was extended to the full distance for the first time in his blooming career. The upcoming Motor City KO artist was expected by most to score another quick win, but Hayman took everything Hearns had - something no one else had done up to that point. Although his KO streak was snapped, the win for Hearns was unanimous, and his career was still right on track. 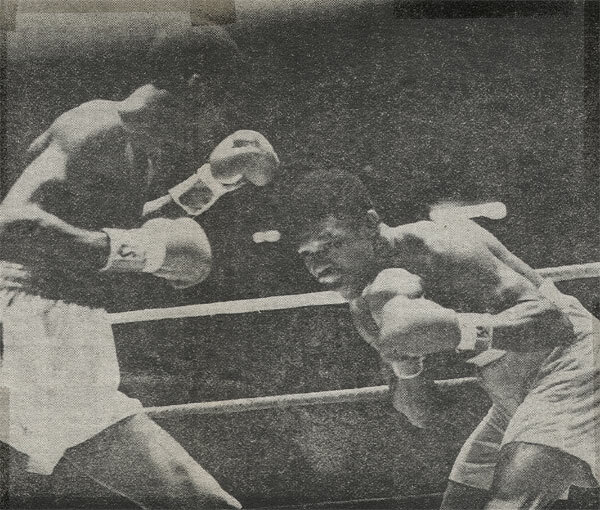 Just over a year later, he would win the WBA welterweight belt with a crushing KO of Pipino Cuevas (8/2/80). For Alfonso Hayman, the exciting Philly fighter who never had a boring fight, this bout pushed him close to the end. He would only fight three more times (1-2), and never again in Philadelphia. He ended his career in Detroit with a KO loss to Hearns stable mate Milt McCrory.